The first time I had a Margherita Pizza was this past summer. I had never heard of such a thing and my mind was blown. I though they put a margarita in a pizza. Y'all can only imagine the conversation that insured. I soon learned this was not the case and my mind was blown even further when I tasted the yummy Basil. Y'all know I've been obsessed with Basil as of late and my most viewed post is my Basil Chicken recipe. So, y'all gettin' the point? I really love Margherita Pizza. It's all I order at Studio Movie Grill. Wait, is that just a Texas thing? A few weeks back I was contacted by Inkling. They have an interactive ecookbook entitled Modernist Cusisine at Home. The book is a bit pricy but worth the money if you ask me. Naw, she ain't tell me to say that. 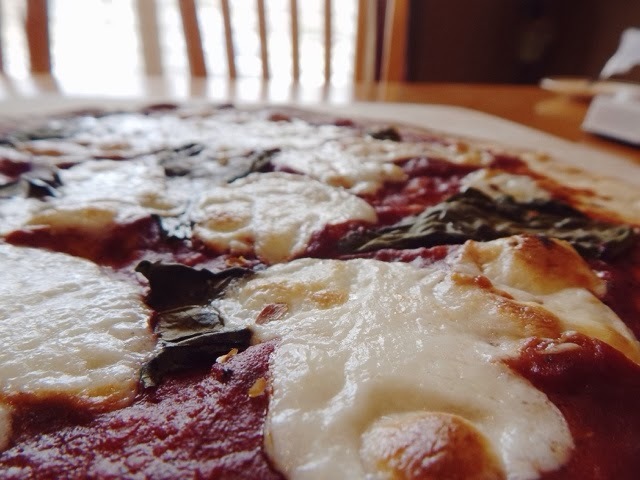 When I was emailed I was given access to, yep you guessed it, a Margherita Pizza recipe. Y'all I was to excited. Couple that with the gift card to Central Market I had and you couldn't tell me nothin' I was ready to shop. I say all this to say that I really like the cookbook and the recipe she sent me. Y'all I wonder if she knew Margherita Pizza was on my list of recipes to learn and blog about. Click that pretty little link above and it will take you to the recipe along with many more. Literally It was just dough, cheese, sauce, salt, pepper flakes and basil. Umm, again yes ma'am. Go get ya some. 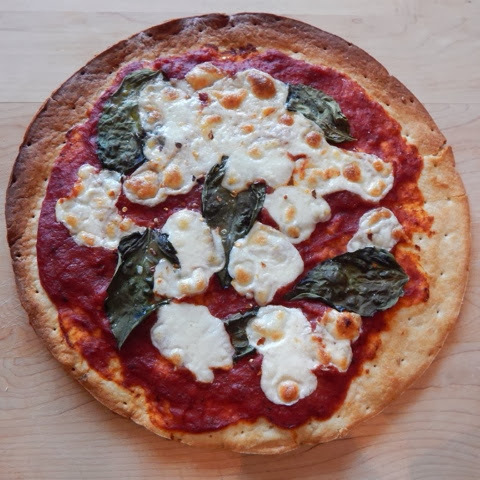 We spent time in Italy this last Summer and fell in love with the Margherita Pizza from Naples. It was thin, crisp, sometimes burnt on the bottom and sides, simple with just three ingredients and oh SO good! Thanks for sharing! Great read. I've never tried the Margherita Pizza ... My fear is that there is not much cheese and my pizza HAS to have cheese. I wish someone would order one and I could take a bite. Ohh, It is worth it. I promise. You can always add more cheese. That's what I did to the second one I didn't take a picture of. I too just found my new love for Margherita Pizza, it is beyond the best! This is my favorite pizza flavor! Absolutely gorgeous pics! I just want to rub my face all over that... is that weird? No ma'am. I want to as we'll but I'm out of pizza. But I do have some of the ingredients left so I'm gonna mix it in my soup. oh this looks sooooo good!! This is one of my favorite kinda of pizza!!!! It is one of my regular ones at Newk's. I definitely need to get this recipe. amen girl. Amen. And guy need to. Sean and I are OBSESSED with Margherita pizza and caprese anything....we can even tell you WHY it's called Margherita pizza. We eat it ALL THE TIME. And yes, people still think there's an actual margarita involved and think we're crazy....and we don't care cuz it's delicious!!! It's the only thing we order at our fave pizza place as well :) Just another reason why we're friends! Mmm, jealous that you've had some. Gimme gimme! This looks delicious!